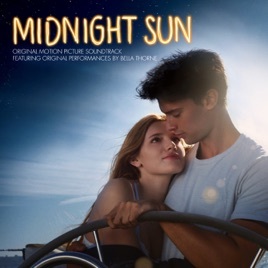 Midnight Sun is a remake of a Japanese film, Taiyō no Uta (A Song to the Sun). YUI, who starred as Kaoru (Katie) in Taiyō no Uta, contributed “Skyline”, “It’s happy line”, and “Good-bye Days”. As far as the music goes, the three songs YUI wrote are far and above better than the four songs Bella Thorne performed for Midnight Sun. Kaoru (Katie) is loosely based on YUI, because she would often perform on the streets before she made it big.